Diversity of grape varieties : white grapes, Chenin and Chardonnay to make the sparkling wine : Crémant de Loire and for our still white wine, Sauvignon Blanc. Gamay, Cabernet Franc and Cabernet Sauvignon, Pinot Noir, Côt (Malbec), Pineau d’Aunis and Grolleau are the red grape varieties used to make the rosé or the red wines. Diversity of soils : made up of clay and flint, the “Perruches” give good red wines with richness and depth. 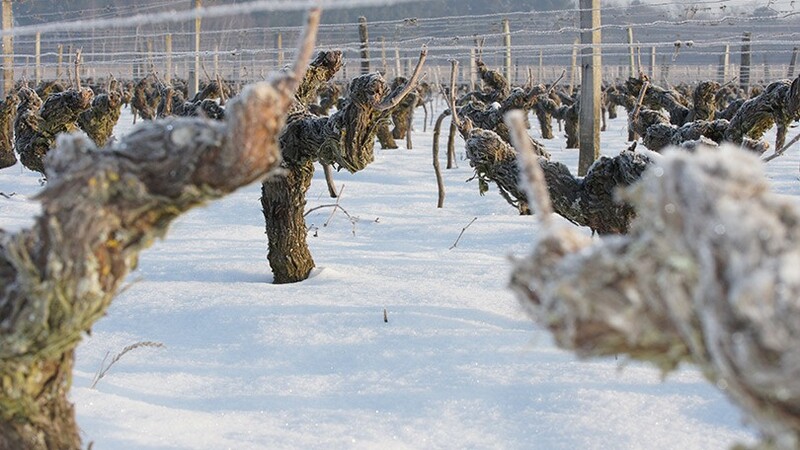 The “Bournais”, being less stony, are great for making rosé and white wines with minerality and aromatic power. Diversity of vine cultivation : most of the domain is run under sustainable farming : strict pruning, pruned stem mulching to give organic fertilizer, natural grass growth, minimal controlled spraying and the thinning out of the leaves to obtain sound, ripe grapes. We use environmentally friendly techniques on some plots such as sexual confusion, which avoids the need for insecticides. We work the soil on the plots of land intended for the production of Touraine Chenonceaux to avoid the use of chemical herbicide.